The Captain's Table: July 7th, 2008 - San Diego Comic Con Info! OK, I'm back and this time I've come prepared! 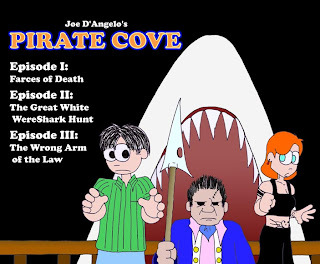 Firstly, for those of you who want to come looking for the PIRATE COVE KREW at Comic Con, you can find us in the Small Press Area, table L-9. We're on a corner so we should be easy enough to find! 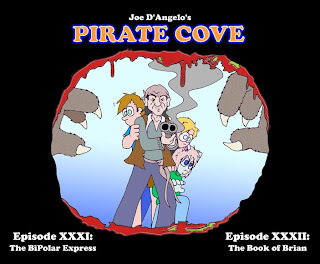 All that remains is for the books to arrive from the publisher in time for the show! 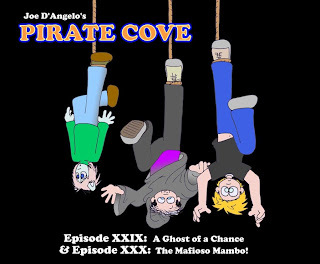 As per usual, PIRATE COVE will NOT be updating on July 24th and 25th due to convention festivities, but will resume on July 28th. Hope to see y'all at the Convention Center!